After a long faculty camp, I was craving for something really good for sunday lunch. 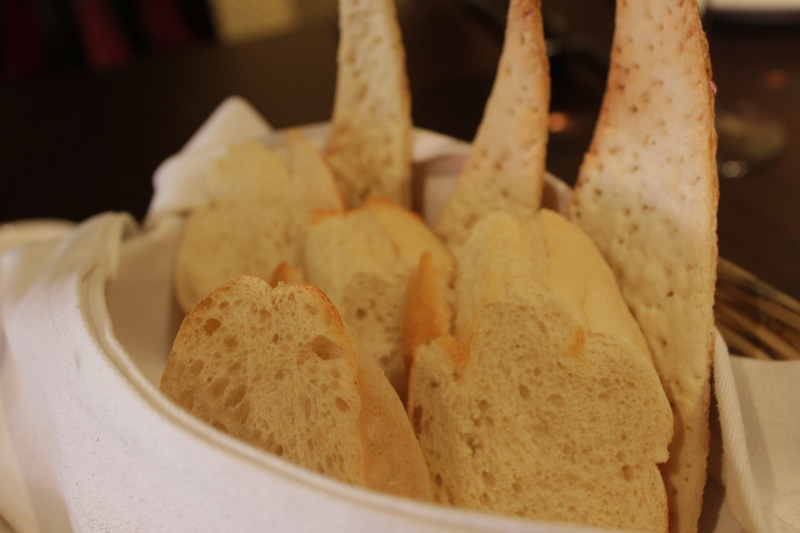 At first, Mum suggested having Italian food at La Nonna or french food at La petite Cuisine which were both near to fairprice finest since we needed to go grocery shopping. 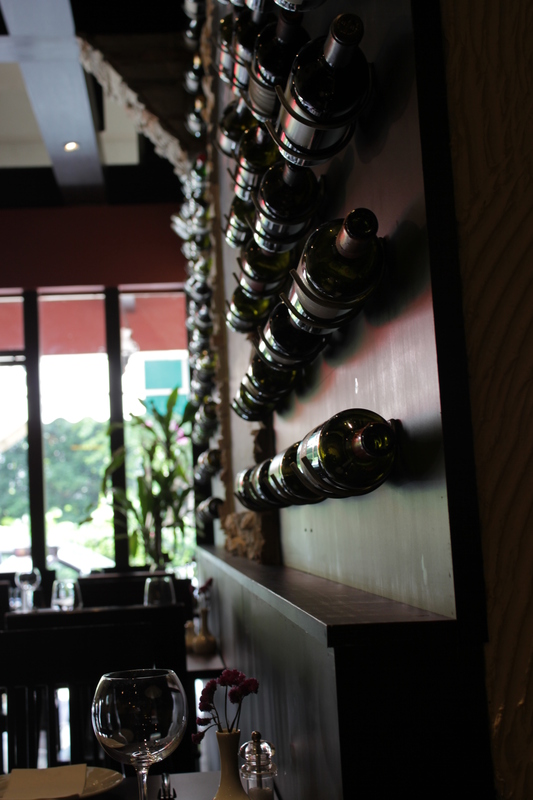 I was a little bored with that idea since we have tried almost everything from these two places so I suggested to go to Trattoria L’Ancora along bukit timah road instead which was incidentally also reported in the Life! section today. Love the decor here. It’s a great place to chill out and relax on a sunday afternoon with the family. Good handmade pasta is so incredibly difficult. Trattoria L’Ancora has an extensive menu but it was the specialty pastas page that really caught my attention. Apparently, both mum and dad thought the same and ordered handmade pasta as their main course too. 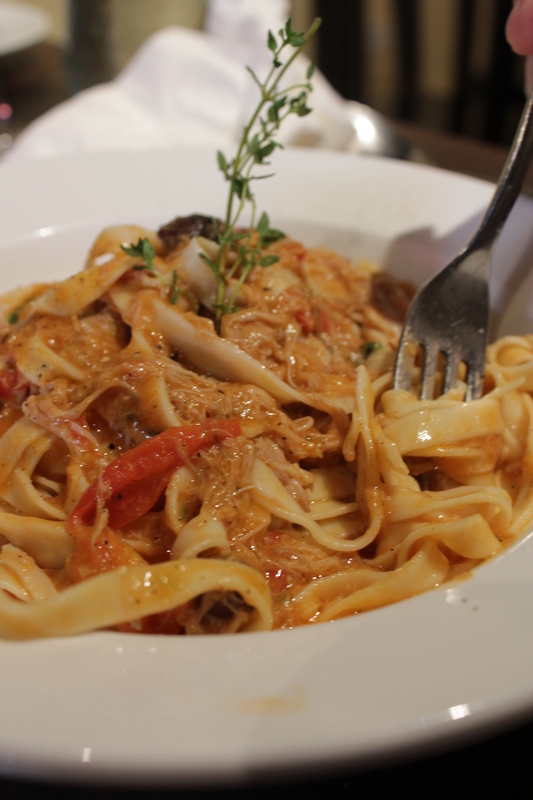 Dad’s Fettucine ($24) was described as braised rabbit meat with handmade flat egg pasta thyme and olives. It looked really impressive and dad tucked in even before I started taking photos! I had a taste and the fettucine was al dente and the sauce was very flavourful. Dad was clearly very pleased with his order. 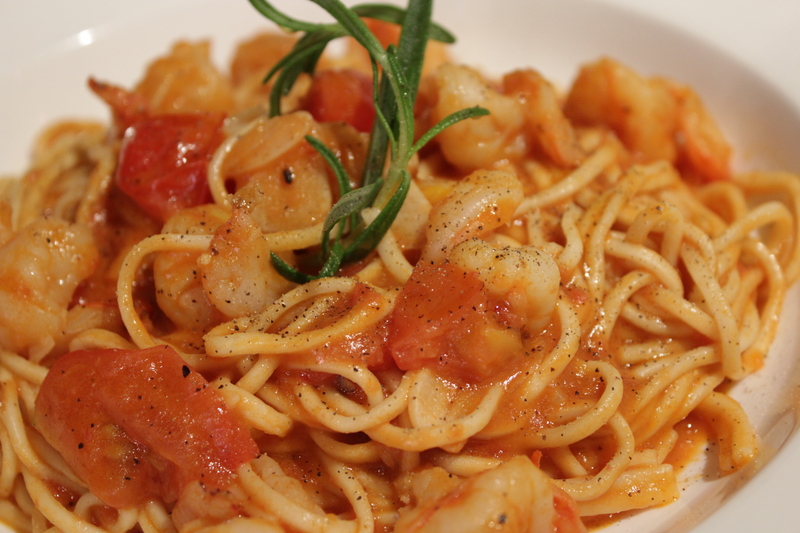 Mum opted for the Tagliolini ($20) which was described as handmade pasta with shrimps and its own bisque and rosemary in pink sauce. Once again, this dish was well executed. The pasta was al dente and the bisque sauce was divine. My pasta dish looked the least appetizing out of all the pasta dishes but every morsel of it was so tasty and yummy. In fact, I liked my pasta the most out of all of them! 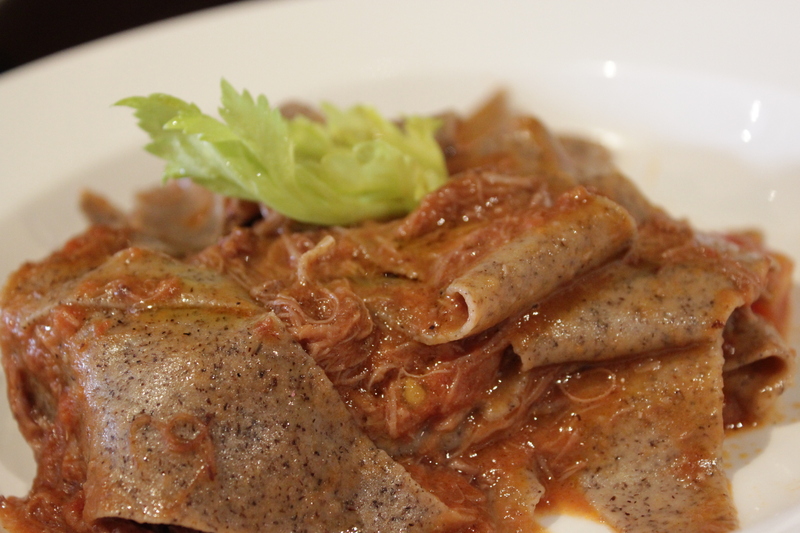 My order was Straccia which was described as braised duck with handmade wholewheat pasta in red wine sauce. I never had whole wheat pasta before and I must say if you like wholemeal bread like me, you will love this loads and never want to eat normal pasta again. When it first entered my mouth, it tasted similar to normal pasta but after chewing, the nutty goodness of the wholemeal started to set in. I CROWN THIS AS THE BEST PASTA I HAVE EVER HAD. But if you are not a fan of whole wheat/whole grain stuff, i suggest you do not try this. The shreds of duck also had a very distinct red wine flavour making a great accompaniment to the pasta. I guess my only gripe was that there were no veg/mushrooms in this dish to balance out the flavours. If only they had such a thing as mushrooms in red wine sauce. Mushrooms are my favourite food! 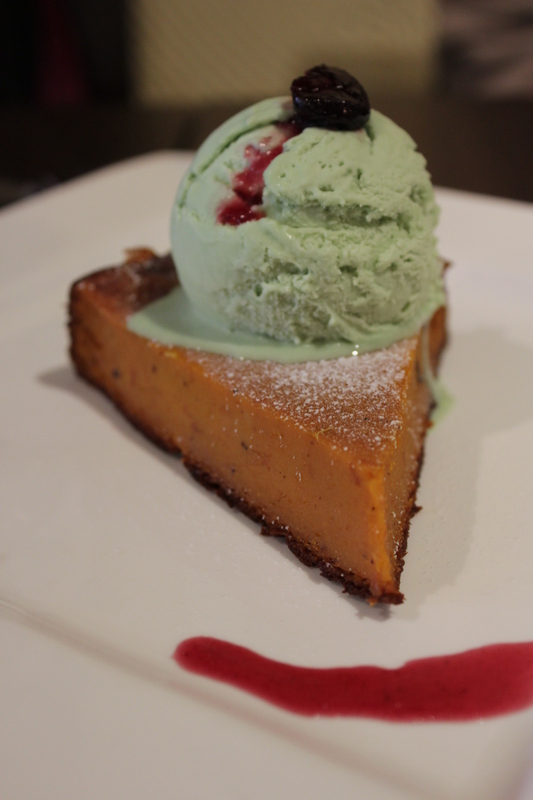 Initially I wanted to skip desserts because I was so stuffed but the pumpkin cake ($10) caught my attention. It came served with pistachio gelato and cranberry sauce. The moist and piping hot pumpkin cake did not taste like there were added sugars at all. Just the natural sweetness of pumpkin, absolutely divine. The gelato was a little too chewy for me though. I would rather have the pumpkin cake served alone with the cranberry sauce! Nonetheless, a very very unique and excellent dessert. I will definitely be coming back again whenever I have my pasta craving. 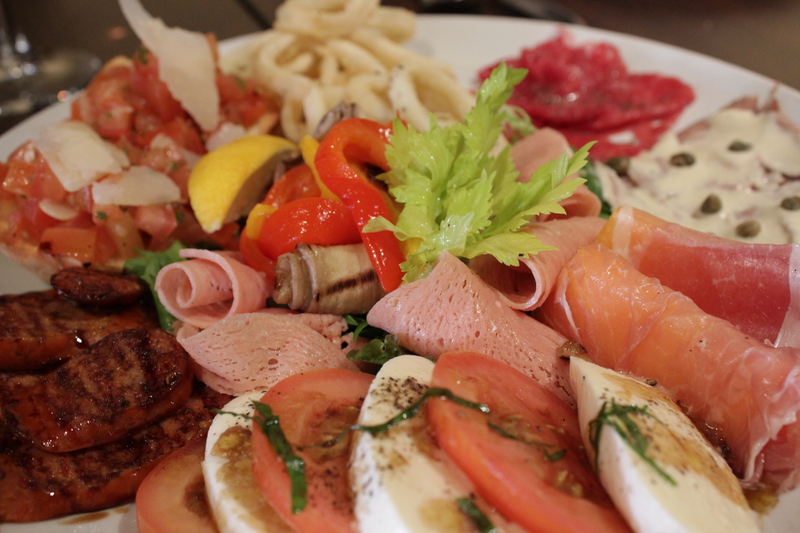 For now, this place ranks as my favourite place for italian food in Singapore. The total bill came up to about $127 for 3 which is a little pricey but as you can see, we really ate a lot!